A princess, a pea, and a tower of mattresses. This is the sliver that survives of a story more nightmare than fairytale... Maggie Rhodes, high school junior and semi-reformed stalker, learns the tale’s true roots after a spying attempt goes awry and her best friend Kate ends up as the victim of an ancient curse. At the center of the curse lies an enchanted emerald that has been residing quietly in a museum for the past fifty years. Admirers of the gem have no idea that it feeds on life. Or that it’s found its next victim in Kate. Enter Lindy, a school acquaintance who knows more than she’s letting on, and Garon, a handsome stranger claiming he knows how to help, and Maggie is left wondering who to trust and how to save her best friend before it’s too late. If only Maggie knew her connection to the fairy tale was rooted far deeper than an endangered best friend. The idea of this story was intriguing to me. I always enjoy retellings of fairy tales, and I was curious how the author would redo "The Princess and the Pea" since it's a pretty straight-forward story. Well, she completely turned that story on its head. I will admit, that I kind of forgot what this book was about, and didn't read the back of it when I got it to refresh my memory, so I was a bit surprised when the main character turned out to be a teenager. I'm not sure why I was thinking she would be older, but for whatever reason, I was. Anyway, the story jumped right into things but even still, it took me til the last half of the book to really get into it. Maybe it was when Garon came into the story. I liked him right away, although I kept picturing him more as an adult, instead of a teenager, so that kept making things a bit weird while I wrapped my head around the truth. This was an enjoyable story and I can't wait to read the next one. Let's start with the cover, shall we? I have a thing for green. 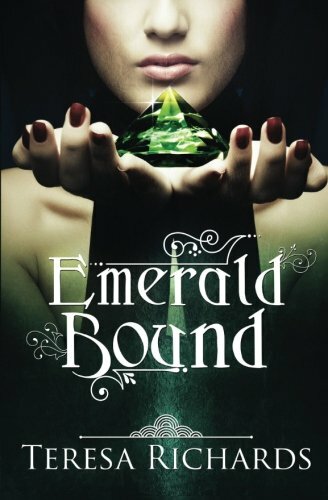 I love green, and I think it was used to great effect with this cover. I would pick this up off the shelf just because it is so pretty, but it does a good job with the darkness. For me I would assume that it's a little darker tale, and it is. However, there were parts that I laughed at (I thought it was really funny whenever Maggie used SAT words). This is a YA novel, and it wasn't dark to the point where I felt uncomfortable or wouldn't let me daughter read it. I will admit that I had a hard time getting into this book. It took a little time and patience. The POV switches quite a bit, and sometimes I wished the author would just pick a time and stick with it. We needed the back story, and it was interesting I just had a hard time going back and forth. I wonder why in YA books the romances need to be insta-romances. The "He completes me and I feel like half of myself is missing". Why can't they just like each other? The momma bear in me has a hard time with those type of romances. I liked Garon though. He was a fun character, and I'm glad he made it into the book. Maggie was interesting, and definitely a well written teenager. She had her strengths and flaws, and I really liked that about her. I loved how she tried to break into the museum and totally failed. She was also very loyal to her friends, and I loved that. Her brother confused me a little bit. He showed up part way through and just was kind of there....he was kind of a character that I felt either need to be in or out, but he was really neither. My most favorite thing about this novel was that after I had finished reading it I thought about it for a long time. That's the mark of a good book to me. I'm actually excited that she left it open for a sequel and I can't wait to read that one. Overall I was happy with this retelling of the Princess and the Pea.